Is your makeup crammed into every drawer, purse and other hiding place available? If so, it's time to get organized. 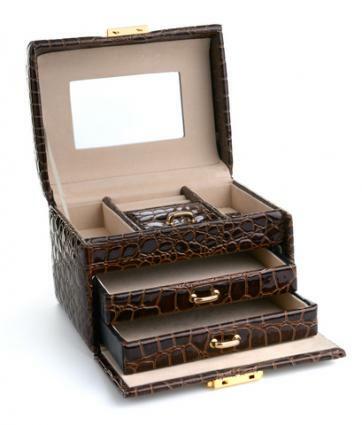 There are so many types of cosmetics bags that it is easy to find one that suits your needs. When shopping for your bag, you'll find a wide range of prices and designs to choose from. 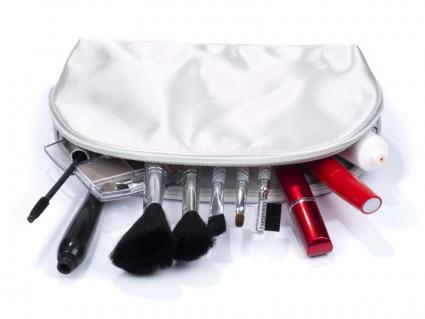 A cosmetic bag certainly comes in handy for keeping your makeup organized in one place. It can also protect other possessions from getting accidentally smeared when you need to take your makeup along with you. 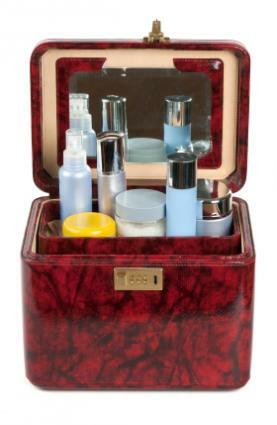 Your own personal makeup style offers the biggest clue about how much storage space you'll need. 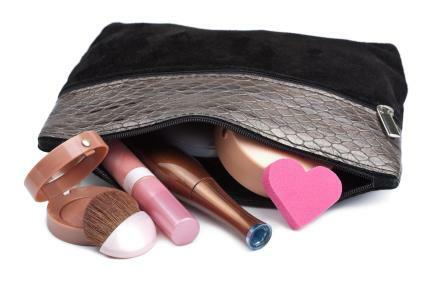 A simple cosmetics bag will suffice if you prefer the "barely there" look; but if your makeup takes up more room than your food and clothes, you may need to think about getting a vanity case. Sonia Kashuk Cheetah Soft Cosmetic Case - This small, zippered makeup bag is large enough to fit a compact, a tube of lipstick and a few more items that will help you touch up your look when you're on the go. It's available online for around $7.00. If you prefer a more polished look, you'll probably need enough space for foundation, powder, blush, mascara and more. A mid-size is also versatile enough to allow for a few beauty essentials, or more items when you need them. 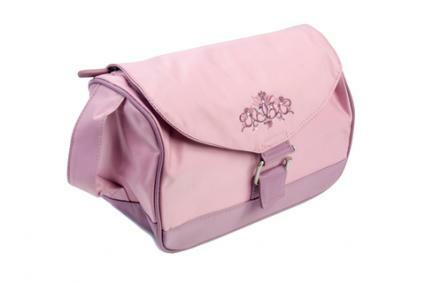 Cinda B Medium Cosmetic II: This medium-size cosmetic bag is a great choice for everyday use and traveling. It is waterproof and stain resistant and can be laundered in the washing machine. The bag is available in 11 attractive patterns. It retails for $23 and can be ordered directly from the company's website. Kate Spade - If you like bold prints, you'll find them at Kate Spade. Vera Bradley - This designer is known for incorporating beautiful fabrics into every bag. In fact, once you choose the bag style you like best, you can select which print you want. Michael Kors - The cosmetics bags offered by Michael Kors have a clean design and plenty of room for all of your makeup. If a designer cosmetics bag isn't in your budget, don't despair. You can find attractive, completely serviceable bags at the following retailers, and prices run the gamut. You're sure to find exactly what you're looking for and you may still come across a great deal on a designer bag. Forever 21 - Here you'll find stylish bags ranging from around $5.00. Sephora - Beauty giant Sephora offers collections of matching cosmetics bags in various sizes. Their Sephora Collection has a variety of bags ranging from small travel pouches to larger vanity cases. Prices range from around $4.00 to $145.00. Ulta - Ulta bags range from small and sleek to full-size cosmetics cases. Consider how much makeup you need to store and choose a size to match. To be on the safe side, you might want a bag that's slightly larger than your needs because then you'll have room to store those fantastic impulse purchases you're bound to run across. Make sure that any bag you buy has a waterproof liner. It's nice having everything in one place, but leaks happen. The last thing you need is to open your purse or suitcase and find the rest of your belongings covered in powder or liquid foundation. A waterproof liner is also easy to wipe clean. It's usually better to choose a bag or case with compartments so you can stay organized. This may mean buying a smaller bag that has just one or two inner pockets or it could mean selecting a full-size case with multiple comparts so you can really organize your collection. A transparent makeup case really lets you see where each item is at a glance. No more digging in a dark bag trying to locate your favorite tube of lipstick or that eye liner pencil buried at the bottom. Buying a cosmetics bag isn't just a matter of hitting the mall and picking out the first thing you find. There's no need to rush. Take a good look at your current makeup assortment. Empty out your purses, ransack your bathroom and spread everything out where you can see it. Once you decide just how much storage space you really need, you'll have a better idea which bag makes the most sense for your collection.